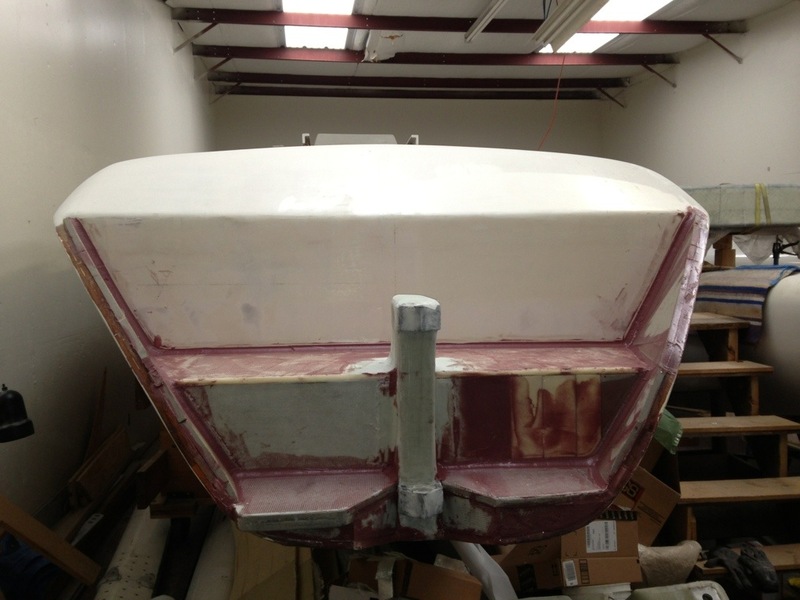 The stern area of the boat is mostly worked out now, with the ‘back deck’ and swim step all tied structurally to the rudder post. The port side will be for climbing aboard, so the lower platform is extended a bit past the hull edge to make a proper foot landing pad. A ladder can be bolted to the vertical panel above that step. The red color comes from the ‘microballons’ – fine powder that thickens the epoxy and makes it sandable for final smoothing. These red lines in the corners are the ‘fillets’ – curved joints of glue that significantly increase the surface area (thus strength) of the bond. 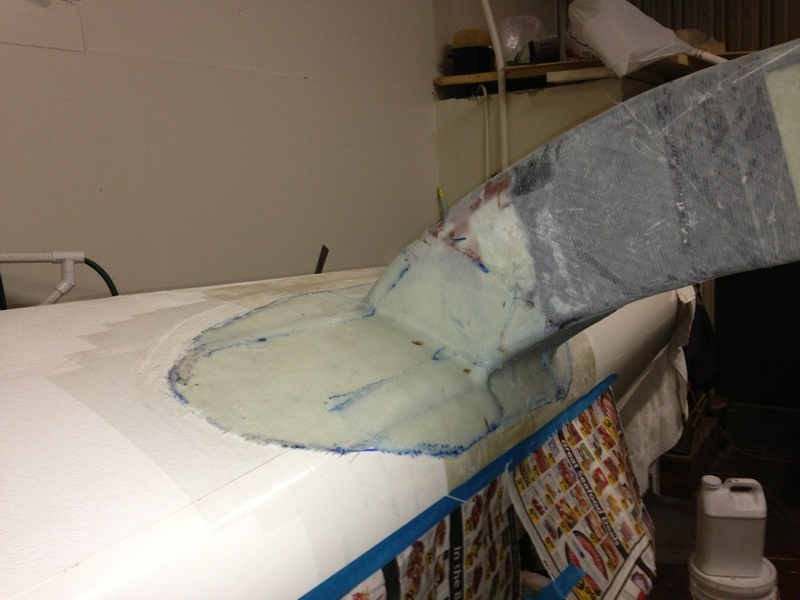 The gentle curve also makes the fiberglass tape layer (still to do in this photo) adhere better.